We want to let you know that OpenNebula Systems has just announced the availability of vOneCloud version 3.0.2.
vOneCloud 3.0.2 is based in OpenNebula 5.4.1 and as such it includes all the bug fixes and functionalities introduced in 5.4.1: OpenNebula 5.4.1 Release Notes. A myiriad of Sunstone bugfixes and small revamps. https://opennebula.org/wp-content/uploads/2018/11/opennebula_cloud_logo_white_bg-4.png 0 0 Tino Vazquez https://opennebula.org/wp-content/uploads/2018/11/opennebula_cloud_logo_white_bg-4.png Tino Vazquez2017-09-21 13:41:272017-09-21 13:41:42vOneCloud 3.0.2 released! The OpenNebula team is mighty pleased to announce the availability of OpenNebula 5.4.1, a new maintenance release of the 5.4.x series.This version fixes some problems -specially relevant are those fixed for the vCenter integration- found since 5.4.0 and adds some functionality. Add a custom css so it can be overriden easily for branding purposes. implement call to let raft know that a follower db has been updated. Ceph resize of the volatile disk fails. ec2 and azure fix instance types scripts. IP spoofing rules does not include VIP addresses for vrouter. onevm snapshot delete does not accept a snapshot name. Add indexes to DB to speed up HA recovery. VXLAN driver is using a module that does not exist. Disk size is not monitored qcow2. README md out of date. DB fsck fails for martekapp. EC2 errors should be reported to the driver. Update documentation for oneuser token commands. Restricted Attributes in Vectors are not handled correctly when instantiated a. Incorrect SIZE on qcow2 images from remote sources. OpenNebula does not take into account VM NIC MAC value. Sunstone detailed list of changes. OpenNebulaConf 2017 EU – Early Bird Reg Coming Up! Here’s your friendly reminder that next Wednesday, September 20, is the deadline to purchase passes for the OpenNebulaConf 2017 EU in Madrid at the early bird price, which saves you 20% off full price passes. Register NOW before the prices increase!. Please consider, space is limited, register asap. Hope to see you all in Madrid at OpenNebulaConf! https://opennebula.org/wp-content/uploads/2018/11/opennebula_cloud_logo_white_bg-4.png 0 0 OpenNebula https://opennebula.org/wp-content/uploads/2018/11/opennebula_cloud_logo_white_bg-4.png OpenNebula2017-09-13 11:08:512018-11-26 11:44:56OpenNebulaConf 2017 EU - Early Bird Reg Coming Up! We are happy to announce the agenda for the OpenNebula TechDay NL, on September 19th 2017. As usual, the day will start with a four hour hands-on session on OpenNebula. Attendees will learn to install, deploy, configure, manage and operate an OpenNebula cloud. We will build it from scrath by adding virtual networks, disk images, virtual machine templates, users, groups, acls and multi-vm services. We will deploy Virtual Machines, live-migrate them and cover many aspects and functionalities of OpenNebula. 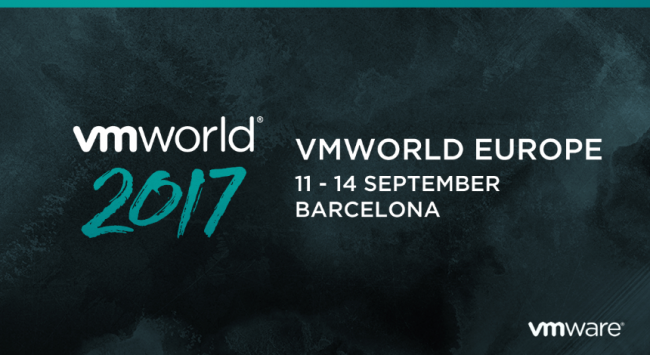 Next 11-14 September VMworld 2017 EU will be held in Barcelona. This is a must attend event where almost everyone with an interest in virtualization and cloud computing will be networking with industry experts. The OpenNebula team will be present in the VMworld with a booth dedicated to showcase the new vOneCloud 3.0, which incorporates OpenNebula 5.4, the open source replacement for VMware vRealize. There will be a focus on new features like enhanced network and storage management, support for linked clones, disk resizing, save-as template functionality for VMware VMs, disk save-as functionality, automatic storage scheduling, storage quotas and many more. If you are planning to attend VMworld next week, make sure you register and do not forget to come around our booth, E430. You will be able to see in a live demo how a VMware based infrastructure can be turned into a cloud with a slick, fully functional self-service portal to deliver a VM catalog to your end users, in 5 minutes!. 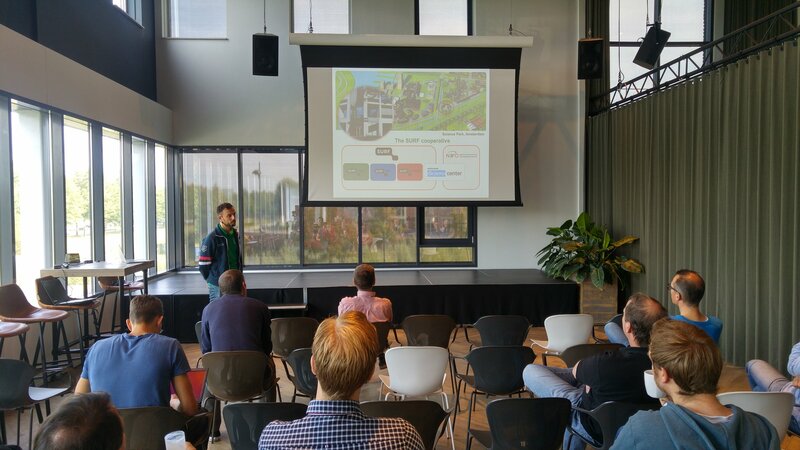 The OpenNebula TechDay Ede NL 2017 will take place in two weeks. It will be held at the BIT.nl headquartes in Ede, Netherlands, on the 19th of September. BIT is an internet service provider and datacenter in The Netherlands. BIT offers internet access, email, hosting and colocating services for governments, organisations and businesses. The event will start with a 4h hands-on workshop. This hands-on tutorial will give an overview of how OpenNebula is used to build and operate private clouds. The attendees will build, configure and operate their own OpenNebula cloud. If you want to learn how to turn your virtualization based infrastructure into a full-fledged public or private cloud with all the benefits, you are very welcome to join us. This event is targeted at cloud architects, data center admins, systems admins, systems integrators, DevOps architects, and solutions architect. We still have speaker slots available, if you are interested, please send us an email.